Sloths are medium sized mammals and these are natives to the jungles of Central and South America and are known for being slow-moving, hence named “sloths”. 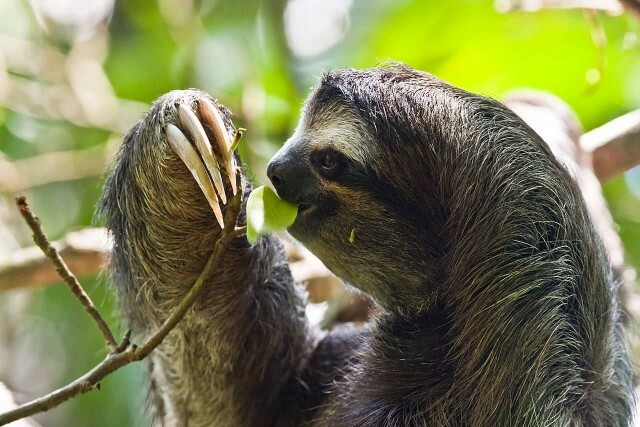 Sloths make a good habitat for other organisms and a single sloth may be home to moths, beetles, cockroaches, ciliates, fungi, and algae. Leaves, their main food source. It is provide very little energy or nutrients and do not digest easily. 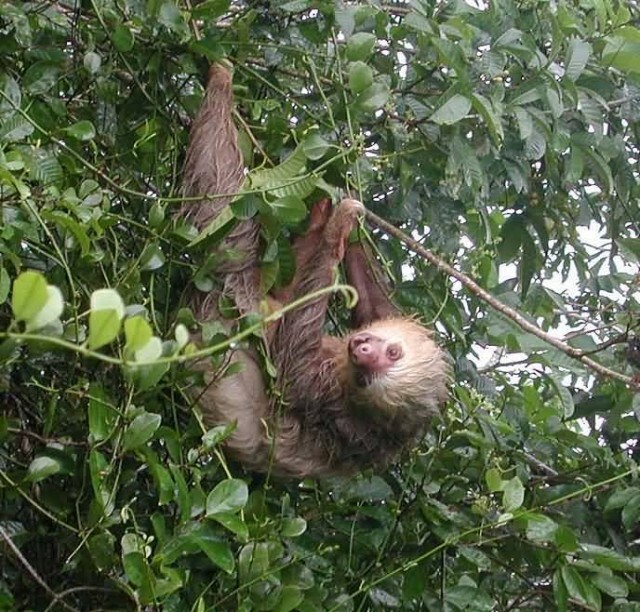 Sloths tongues have the unique ability to extend out from their mouths 10 to 12 inches, an ability that is useful for collecting leaves just out of reach. Their stomach is two-thirds of the sloth body that why the digestive process can take a month or more to complete. Sloths move only when necessary and even then very slowly. 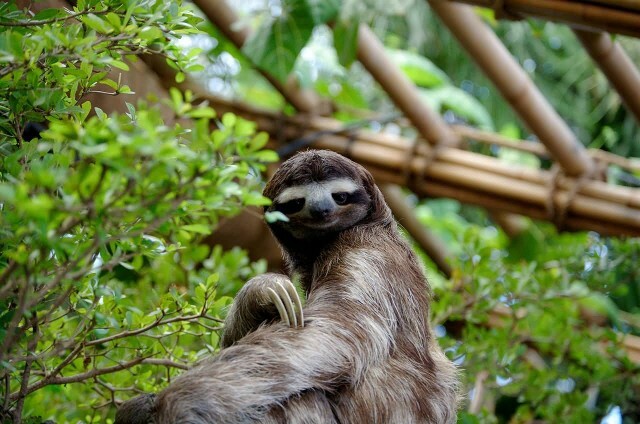 They can move at a marginally higher speed if they are in immediate danger from a predator about 4 m or 13 ft per minute for the three-toed sloth but doing this they burn large amounts of energy. Their specialized hands and feet have long, curved claws to allow them to hang upside down from branches without effort. While they sometimes sit on top of branches, they usually eat, sleep and even give birth hanging from limbs. They sometimes remain hanging from branches after death. On the ground, the maximum speed of the three-toed sloth is 2 m or 6.5 ft per minute. They are sleeping from 15 to 18 hours each day. Previous story Which Is The Longest Hiking Trail In The Rocky Mountains?